A UK minister has resigned saying a row over involvement in the EU's Galileo satellite-navigation system exposes Theresa May's Brexit deal as "naive". Mrs May confirmed on Friday that the UK was pulling out of the project. Science minister Sam Gyimah said the row was "a clarion call" and that any deal with Brussels would be "EU first". Mr Gyimah, who is the 10th minister to resign from the government since Mrs May set out her original proposals for leaving the EU at Chequers in July, also said he would be voting against the deal she had eventually negotiated with Brussels. However, prominent Brexiteer and cabinet minister Michael Gove has defended Mrs May's plan, writing in the Daily Mail that leaving the EU is under "great threat" if the deal is rejected by MPs. Galileo is the EU's upcoming version of the US's GPS, which is used by millions of people around the world, and will be used by EU governments, citizens, military and industry. But the UK, which has invested €1.4bn in the project, said access was vital to its military and security interests. 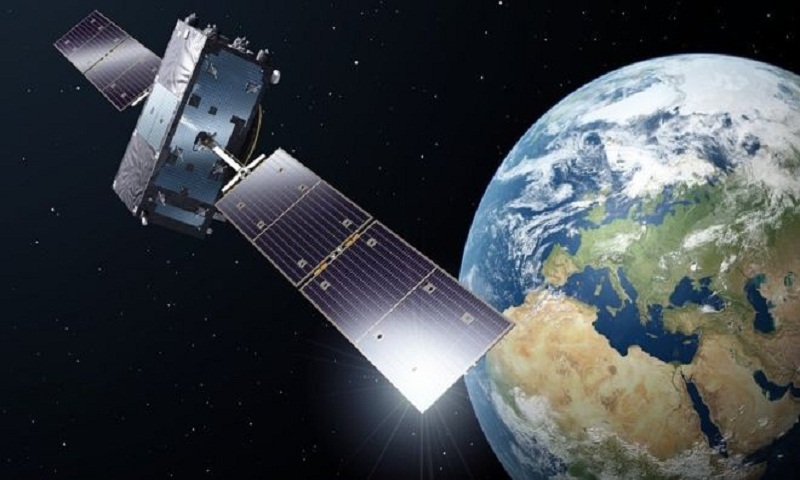 Mrs May has now said the British army will not use Galileo and the UK will instead explore options to build its own satellite-navigation system - having already set aside £92m to look at how it can be done. "I cannot let our armed services depend on a system we cannot be sure of," Mrs May said. "That would not be in our national interest." Mr Gyimah, who voted for Remain in the referendum, said it was the right decision for Mrs May to leave the Galileo project, saying the negotiations had been "stacked against us from the very beginning". "Having surrendered our voice, our vote and our veto, we will have to rely on the 'best endeavours' of the EU to strike a final agreement that works in our national interest," he said. "Galileo is a clarion call that it will be 'EU first', and to think otherwise - whether you are a Leaver or Remainer - is at best incredibly naive." Former Tory cabinet minister and campaigner for another referendum, Justine Greening, said Mr Gyimah was a "highly respected and capable minister" and praised him for not ruling out a second vote. And the Lib Dem's education spokeswoman, Layla Moran, said Mr Gyimah's exit showed the government was "falling apart", and that he had "seen at close quarters the devastating effect this botched Brexit will have on these important sectors". In his Daily Mail article, Environment Secretary Mr Gove admitted the withdrawal agreement was not "perfect". But he stuck by the prime minister, saying it "delivers in crucial ways which honour the vote to leave". "Does it deliver 100% of what I wanted? No," he added. "But then we didn't win 100% of the vote on 23 June 2016. Many people's sat-navs and mobile location services currently run on a US military-based system called GPS - global positioning system - which uses satellites to pinpoint our locations. China and Russia also have satellite-navigation positioning systems. UK companies have built components for Galileo and one of the project's two Galileo Security Monitoring Centres was based in the UK, in Swanwick. The site is now being relocated to Spain. It says UK industry has earned about €1.15bn from the project but, when the BBC asked if any more money would be given back, a spokesman said the project was "part of the withdrawal agreement" and the UK had reached "a fair financial settlement with the EU".